Home » Which Treatment is the Best Psoriasis Cure? Psoriasis can’t really be cured. This is important to know. However, it can be controlled via the right treatment. If you’re suffering from psoriasis, it’s possible to experiment with different treatments in order to lessen the severity of flare-ups, which tend to trigger scaly skin, redness and irritation. Psoriasis may be mild, moderate or severe. If you’re tired of the unsightly appearance and itching which typically come with being a psoriasis sufferer, you’ll find that our quick guide provides a lot of sensible advice about treatment options. Of course, our guide is not designed to be a substitute for proper medical advice. So, do talk to your family doctor if you want the inside scoop on the latest and greatest psoriasis treatments. Now that we’ve answered the question “Is there a cure for psoriasis?”, let’s talk about some practical treatments which do offer help to those in need. While a little trial and error may be necessary in order to find what’s exactly right for you, you’ll discover that checking out different “cure for psoriasis” options will be the best way to regain control over how you look and feel. Doctors have different methods to choose from when it comes to helping their patients combat the symptoms of psoriasis. One important Psoriasis cure which is of prescription-strength is a topical steroid, which is created from the corticosteroid hormone that our bodies produce. These types of steroids may be applied topically in order to stop symptoms of the skin disorder and they usually work very well when it comes to reducing ruddiness and swollen tissue. These formulas are available in different concentrations, so they are smart choices for every level of psoriasis, from mild to moderate to severe. You won’t need to use much of a topical steroid product which is prescription-grade. Just put a bit of this ointment on your affected areas and avoid using this type of medication for more than twenty-one days, as corticosteroids have the capacity to thin the skin when they are used for too long. In addition, don’t stop usage suddenly as this may shock your system and trigger a new psoriasis attack. Your family doctor and/or pharmacist will be able to offer you expert advice about how to use this treatment to its best advantage. Other prescription-strength formulas are also out there. Some of them require intravenous (IV) delivery systems, so they may not be right for everyone. Again, getting sound medical advice from a family physician or dermatologist will be the best way to find a cure for psoriasis which works for you, at least, over the short term. It’s true that no treatment is able to “cure psoriasis” permanently – however, in the future, technological advancements may lead to a permanent cure for this common skin ailment. Is a Natural Cure for Psoriasis Available? If you’re wondering how to cure psoriasis the natural way, you’ll find that there are three popular holistic remedies, all of which are cheap and easy to use. The first is Aloe Vera Gel, which may be applied directly to affected areas three times per day. This soothing gel may be taken right from an Aloe Vera plant that you keep at home. However, lots of manufacturers sell Aloe Vera gels of very high purity. If you want to try Aloe Vera, be sure to look for a formula which is labelled as organic. Some formulas contain non-organic fillers, so it’s best to shop around for a product which doesn’t contain these fillers. Purity is important, as other ingredients in Aloe Vera formulas may irritate inflamed skin. A health food store or good pharmacy will be a great place to find the right product. You should experience instant relief when you apply this product to your skin. If you’re taking other prescription medications, talk to your doctor before you start therapy with this home remedy. Those who experience scalp irritation as a result of psoriasis may benefit from using an Apple Cider Vinegar rinse on their scalps. This type of rinse is easy to make, it doesn’t cost much and it’s designed to remove dead skin cells from the scalp. Psoriasis triggers dead skin cell overgrowth, which leads to scaling and redness, so opting for an Apple Cider Vinegar rinse will be a good way to improve the quality and texture of skin, right from the comfort and privacy of your own home. To try an Apple Cider Vinegar remedy, add one cup of cold water to a cup of the vinegar. The water will reduce the risk of stinging by diluting the formula. Then, gently massage the mixture into the scalp. At this point, it’s best to let the mixture work for a while, such as fifteen minutes, before rinsing it out. Most people who try this cure for their skin problems use it a few times per week. If you do experience stinging, try another treatment instead. 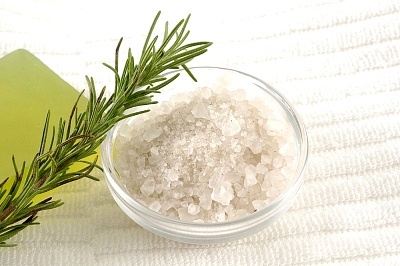 Epsom Salts are great for psoriasis sufferers, they cost just a few bucks per bag and they may be added to bathwater in order to heal inflamed skin. Sitting in a warm bath which is infused with dissolved Epsom Salts will allow you to relax and de-stress as you improve your Psoriasis symptoms. Sit for twenty minutes after adding a handful of Epsom Salts to your bathwater. Once you exit the tub, rub a high-quality moisturizer all over your body. Salt is drying, which is why it helps to remove scaly patches in the first place! Replacing lost moisture by applying a lotion after your bath will be a great way to ensure that your skin stays in the best condition after an Epsom Salt treatment. As you can see, the question of how to cure psoriasis over the short term is pretty easy to answer. You may seek out a prescription from your doctor or go for a home remedy. In some cases, you may combine treatments, as long as your family physician says that it’s ok. 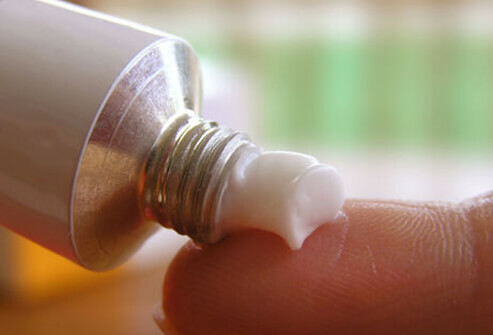 Some OTC remedies for psoriasis are very effective. For example, those who are experiencing scalp discomfort will find that Neutrogena T-Gel shampoo offers superlative care for a pretty low price. This shampoo has a great reputation – however, you should be aware that it’s loaded with coal tar, so it does have a very strong fragrance which some people just don’t like. Bear in mind that the scent of this shampoo shouldn’t linger for too long once you rinse it out. Also, be aware that coal tar is really effective as a symptom for scalp psoriasis. So, it is possible to access a lot of relief just by using this product every time that you shampoo. You may find this product wherever Neutrogena products are sold. Hopefully, our detailed guide has provided you with some practical options. By detailing the most impressive treatment options, we hope to make it easier for you to control your unwanted symptoms, including flaking skin, ruddiness and itching. Psoriasis may crop up all over the body, so everyone is different and what works well for one person may not be ideal for another. This is why experimenting with different treatments will be beneficial. It’s smart to know different ways to handle the issue of psoriasis, from prescription meds and ointments to OTC remedies to home remedies. Knowing which treatments work will give you more flexibility as you strive to reduce your symptoms. Education is so important. Now that you’ve discovered important new facts about treatment choices, you’ll be primed to select the treatment options which fit your budget and lifestyle. For example, if you prefer holistic treatments, rather than the utilization of lab-created chemicals, home remedies may work well for you. If you would rather try OTC remedies which have been formulated specifically to combat Psoriasis, you’ll do well with drugstore treatments, such as medicated ointments, lotions and shampoos. Once you start a new treatment, track your results and record them. Keeping a record of what works and what doesn’t and how long it takes to see and feel improvements will be very helpful. This type of record will assist you in deciding which Psoriasis treatments to invest in later on. Some people may prefer to keep all forms of treatments handy at home, so that they may choose the best treatment for a specific flare-up. Prescriptions might be used for severe flare-ups, while home remedies might be chosen for mild flare-ups.